This month we will be having a few guest bloggers share their perspectives on specific topics related to autism. Through these guest blog posts we hope to raise awareness of autism and its effects on individuals, families, and society. Our first guest blogger is Megan from Open the Door. Nope. Every kid with autism is different. Often I've heard the saying: "If you've seen one child with autism, you've seen one child with autism." That's the problem with these "spectrum disorders." They encompass so much and that makes it hard to know what to do to help, even if you live with autism daily. In thinking about his topic, I thought of things I wish people would do to help me or to help my friends facing autism. I can't speak for everyone in the autism community but from personal experience I can say that it's not so much small ways people can help, but rather one small thing people can do that makes a big difference to people facing autism: ASK them how you can help them. Knowledge is truly a powerful thing. And though it is cliche to say it, it changes the world. If you approach a parent of a child facing autism or an individual facing autism with a strong desire to understand them, to be respectful, sensitive and patient, you can profoundly affect their life. And shouldn't this really be the way we approach every human being on this earth? Now autism brings it's own set of challenges and it might help to have a list of things to ask. If the person you know with autism is a child, talk to their parents. If they are older or an adult, speak to them directly. In either case, make sure they have brought up autism first. Don't assume they have a diagnosis or even know they have a diagnosis. I remember the first time someone asked me these questions, I almost cried. It was like someone gave me permission to take care of myself and to express what I was feeling. Autism is something the whole family faces. It's hard on everyone. Sometimes siblings get left out. I worry about this when it comes to my 3-year-old daughter. Am I neglecting her? Is she getting enough love and attention. When someone shows special attention to her, I appreciate it so much. Even if your friend doesn't accept your help, just know that in the asking you have helped them. And you've now shown yourself to be a caring person they can go to in the future. This is why I find the ASKING so important. Respectful, sensitive asking will do a world of good for people facing autism. As its name suggests, autism can be isolating, for everyone touched by it. However, nothing breaks through that isolation like the genuine, compassionate connection between two human beings. 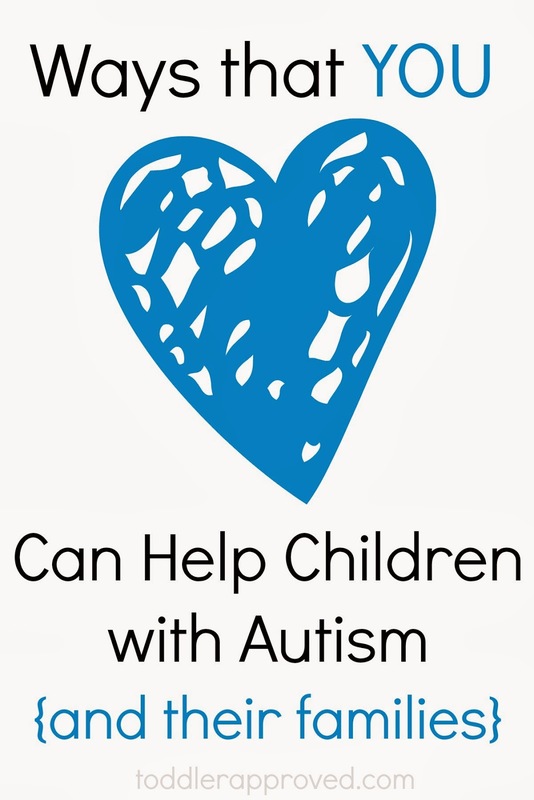 Are you a parent or caregiver of a child with autism or other special needs? What other tips or suggestions would you add? Please share your thoughts in the comments.